In today’s digital age where everything we do is often online and accessible to everyone, each and everyone of us must safeguard ourselves against identity theft. It’s not just risky for the individual but can be a very damaging to a business and one that many never fully recover from. It compromises financial assets and so much more. 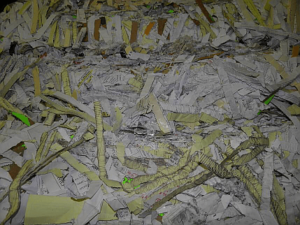 That is why all businesses and individuals must have access to a reliable paper shredding company. 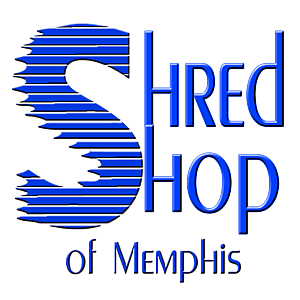 Shred Shop of Memphis is the shredding leader of the Mid-South. We are headquartered and based here in Memphis. Brenda Allen Huff brings her years of experience as an accountant as she knows the importance of keeping your personal information private. In just the year of 2016, almost one in every sixteen United States adults fell victim to identity theft. Any type of identity theft is going to leave someone exposed unless they can act quickly to protect their assets. However, the even swift action is not fast enough to stop someone from spending your money or opening up accounts in your name. More often than not, a thief will get someone’s identity from hacking or online documents. If you are going to get the software to protect your technology, then get paper shredding to help you protect information on paper. Between the year of 2015 and 2016, the number of identity theft situations jumped up from nearly 16%. Nearly 90% of identity thefts use information gained from print sources rather than those found online. This stat directly points to the benefits allowing Shred Shop of Memphis to handle all your shredding needs. Identity theft is the single fastest-growing crime in the nation. This is now a $50-billion-a-year industry that continues to expand its reach. So again, hire Shred Shop of Memphis and you are in the clear. They will help you shred everything up securely and confidentially. In the United States, businesses will lose $48 billion every single year because of corporate identity theft. So, do not take any risks with your business and all of your finances. Smaller sized businesses need to have just as much protection as larger scaled businesses so that they can function properly and make money. The 2015 Data Security Incident Response Report by law firm BakerHostetler revealed that one in five breaches that the firm handled in 2014 involved paper records. In 2015, businesses were affected by 312 data breaches, which affected 16.2 million people. In that very same year of 2015, medical and healthcare facilities were affected by 277 data breaches, which affected 113 million people. Every single year businesses will lose out on money because they fail to protect their business from identity theft criminals. There are criminals that make their life earnings by stealing information through various methods. Smart businesses are proactive in determining future threats and instituting solutions and partner with Shred Shop of Memphis to ensure that confidential information remains confidential. My husband and I have accumulated a lot of paper with our information on it over the years, and we’re thinking about shredding most of it. Your article had some great points about the benefits of shredding paper, and I liked how you said that 90% of identity theft happens from stolen documentation rather than online. I had no idea this was such a problem, so we’ll keep this in mind when getting rid of our sensitive documents.